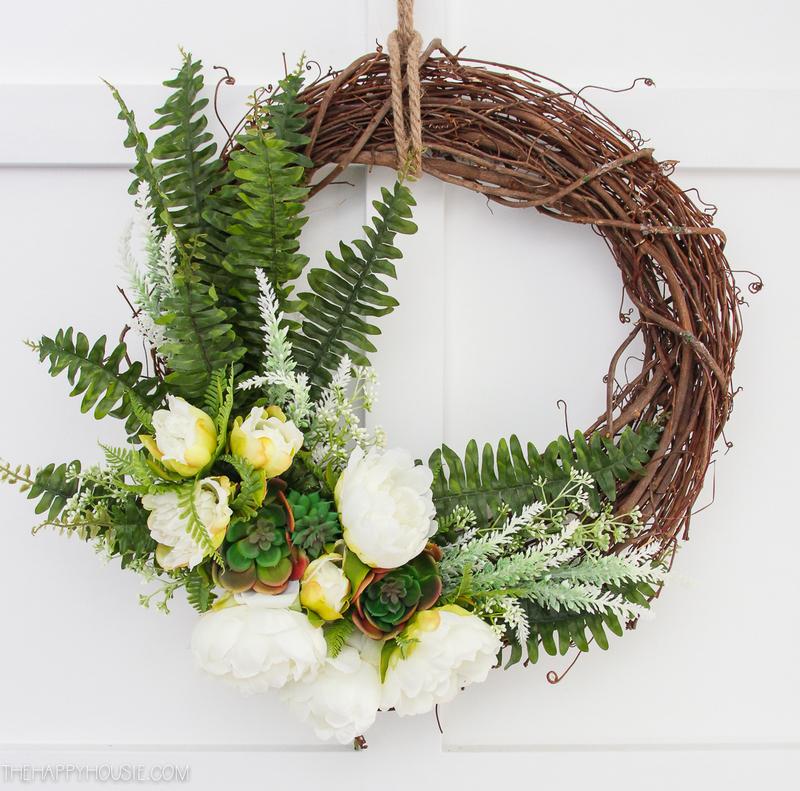 Today I’m sharing a succulent and peony simple DIY spring wreath tutorial. 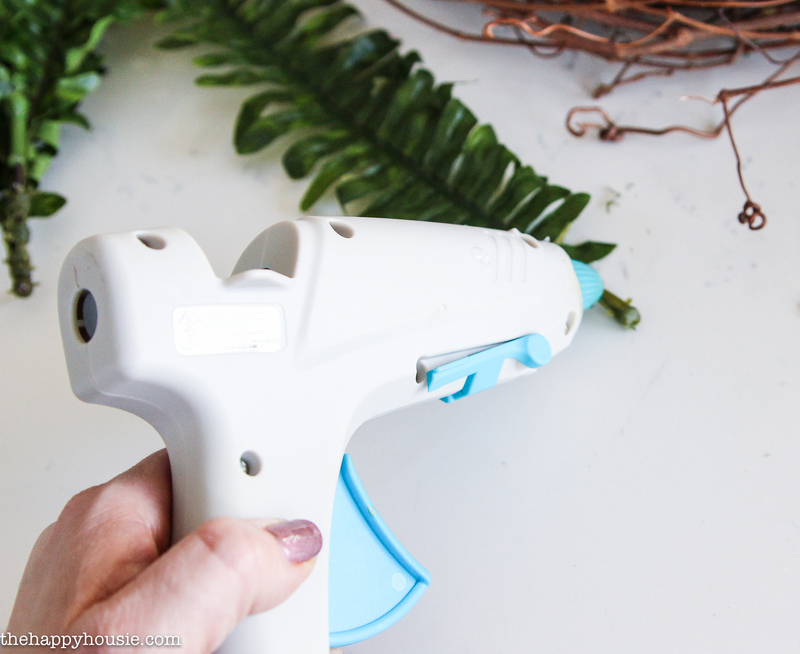 Have you ever wondered what bloggers do with all the crafts and wreaths they make and use and then put away after a season? Well, aside from the secret hoarder closet that most of us have stuffed with totes full of seasonal decor; there are times when it doesn’t make sense to start completely from scratch again. Times when it’s just as fresh and fun to rework something that you’ve already done to make it fit with what you are looking for this season. 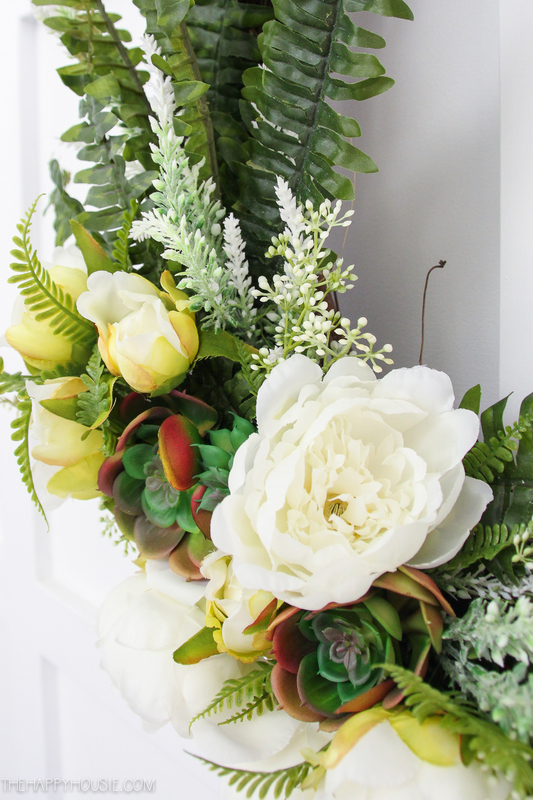 And today’s simple DIY spring wreath is a perfect example of that. 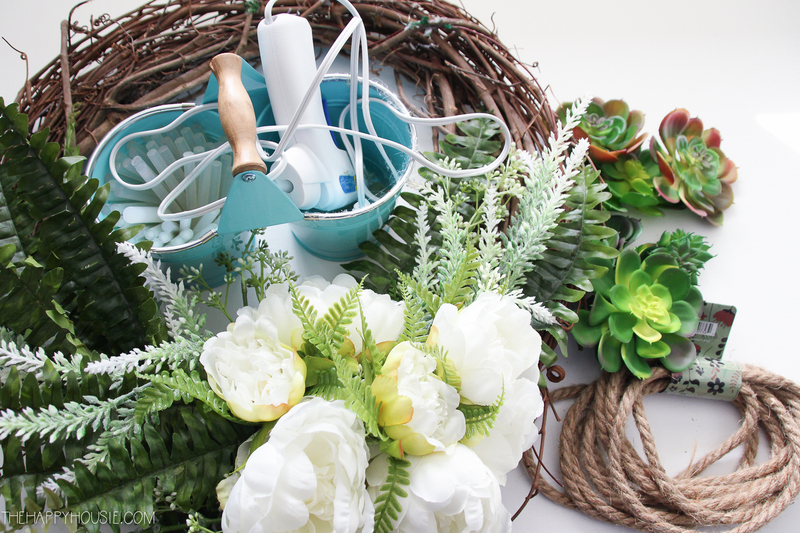 Today I’m excited to be joined by a group of talented fellow bloggers who are sharing their DIY spring wreaths as well; make sure to check out all the fabulous ideas at the bottom of today’s post! Last year I made a DIY monogram wreath for spring featuring the moss covered letter A that I crafted for my recently published book, DIY Creative Wood Letters. Well, as much as I loved it, I wanted to change things up a bit for this spring and I decided to switch out the monogram letter and mix in some faux succulents instead. So I started with my original wreath (read here how to make the base of it), minus the moss covered monogram and added some new rope for a hanger as well as some succulents that I picked up at Michaels (on a sheet). 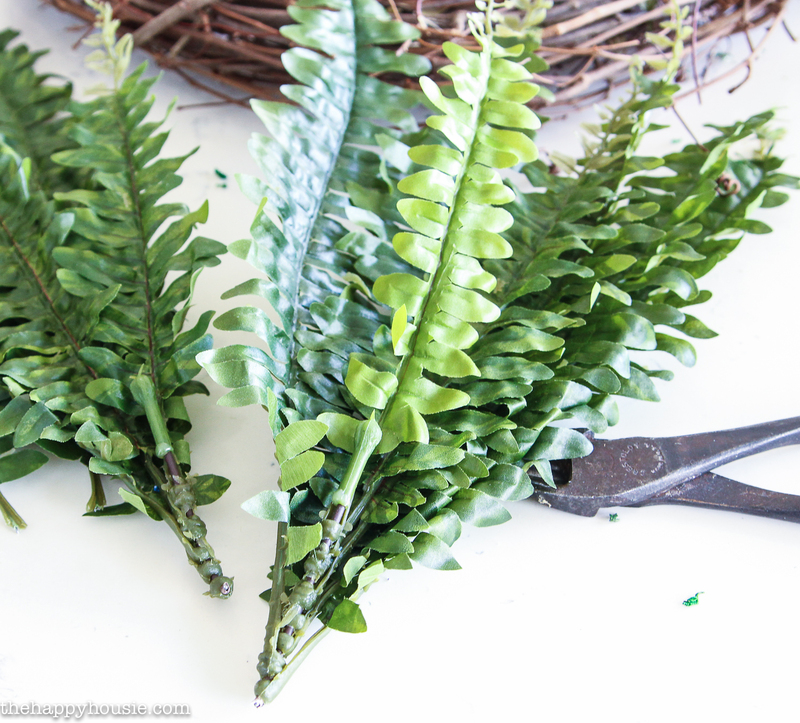 I originally layered on the ferns to start, cutting them apart at the base, and gluing them into position. After the ferns were on as a base, I added in the white peonies (also cut apart from a bunch of faux peonies picked up at the craft store). 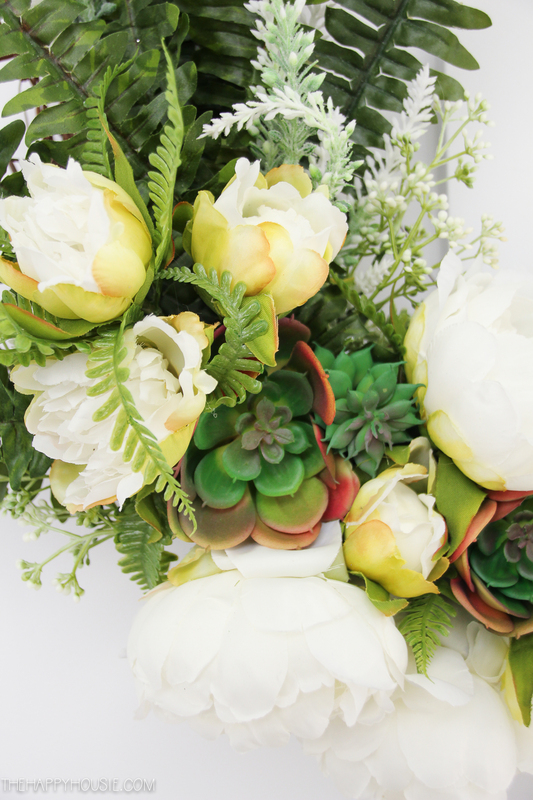 I then layered in some white tipped berry style greenery as well as some faux succulents (that I had bought on a sheet at Michaels). Just play around with where you want things to go, add some hot glue, hold it down until set, and you’re done! 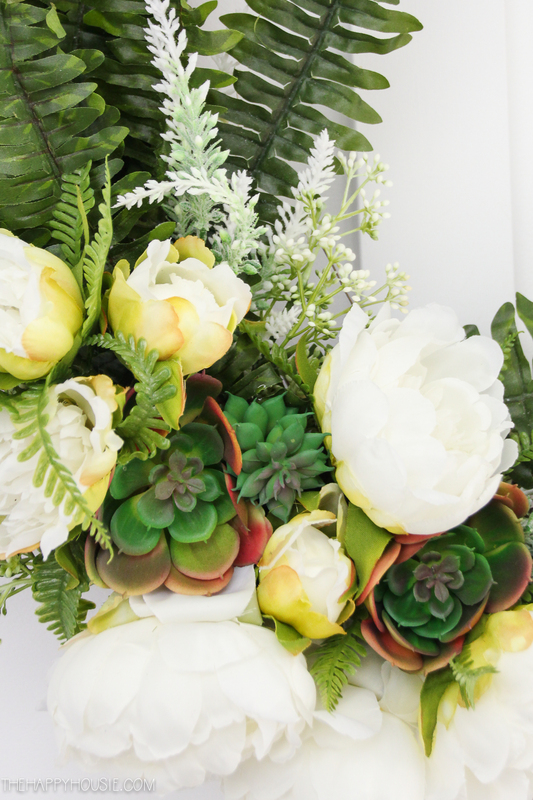 I love how fresh and crisp it feels, and I think the mix of white peonies, ferns, and succulents will make it quite transitional. Who knows… I might even keep it up for summer! Now I can’t wait to get the rest of our front porch cleaned up and ready for spring. I REALLY want to paint the front door a fresh new colour, but I’m worried our temperature won’t be ready for that for a while. We shall see if the weather has magically transformed itself into spring by the time we get home from our holidays. Fingers crossed! 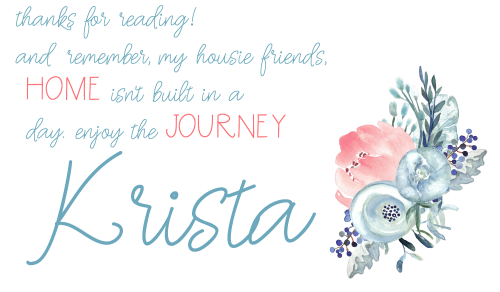 Love this so much, Krista! Peonies are one of my favorites! Hey Krista, I love that you’ve done a bit of repurposing. I need to think about doing more of that…It would definitely help with the storage situation around here! So pretty! Love it, Krista! THANKS for organizing the fun hop! So pretty! Love the asymmetry! Such a pretty combination for spring. And oh yes, to the hoard of past projects and all the re-makes. Krista I love this spring-y wreath. PEonies for the win! Lovely Krista! 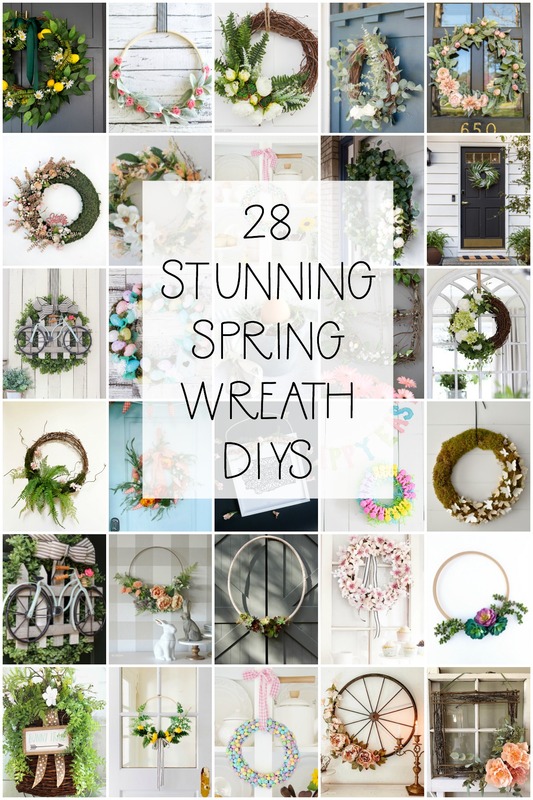 SO funny how bloggers have so many wreaths…my storage closet is full of them hahaha! I am trying to recycle and repurpose them as much as possible too! Wow I love this so fresh for Spring! Green and white is so lovely. Crisp and clean. 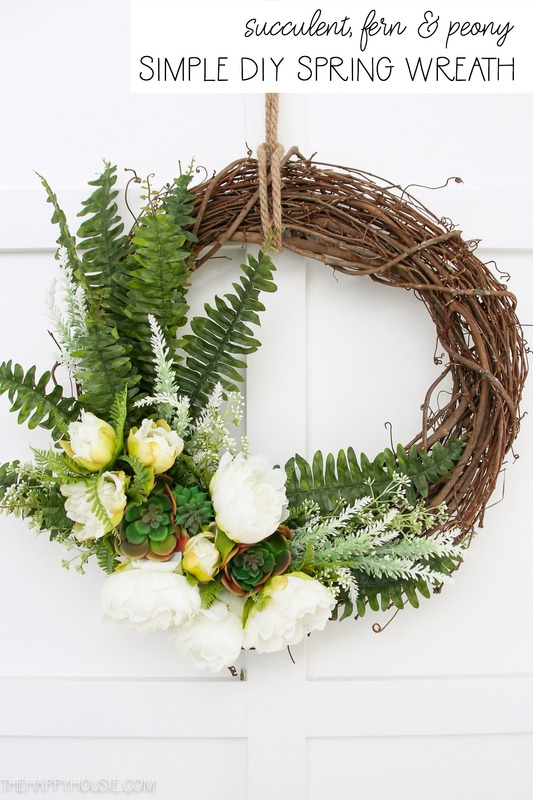 Very pretty wreath!